UXOs within the meaning of the law are abandoned objects of military origin or parts thereof, which contain or consist of explosives. Our experienced staff is well-trained in finding, excavating and dealing with munitions and will be on hand to help and offer you advice at the clearance sites. SeaTerra ensures that our clearance staff is constantly involved in the geophysical survey to provide advice to our customers in all technical matters. If individual objects that are suspected of being UXOs are detected during the geophysical explorations, the area can be cleared point by point. The entire clearance site is systematically investigated using active and/or passive sensors, starting from the ground surface level. Localised obstacles and identified UXOs are cleared. 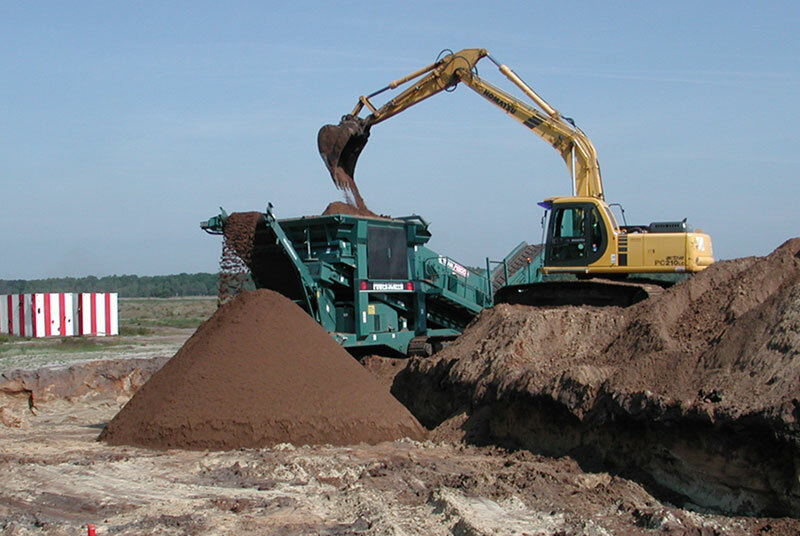 Various devices and methods such as manual digging, excavators, shaft rings, or a combination of processes are used. In case of a heavy UXO load/high density of suspected sites, the site to be cleared may have to be surveyed layer by layer and cleared point by point in layers. The excavation is visually inspected and/or explored sideways on an area which is free of UXOs. The purpose of clearing UXOs during construction is to detect and eliminate the dangers posed by the UXOs at an early stage and their relocation or rebuilding. After the person responsible pursuant to § 19 Para 1 No. 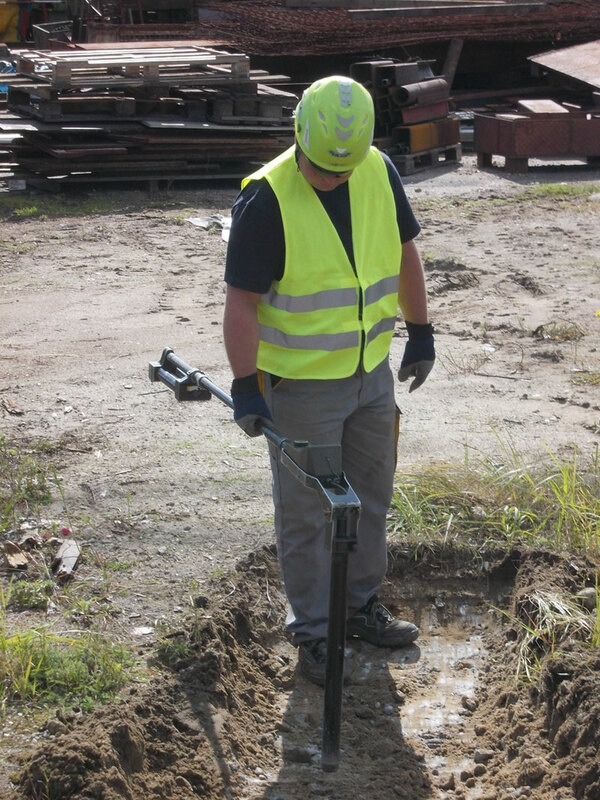 3 of the German Explosives Act clears the designated areas layer by layer, the soil up to the approved depth can be removed, subject to additional visual inspection. 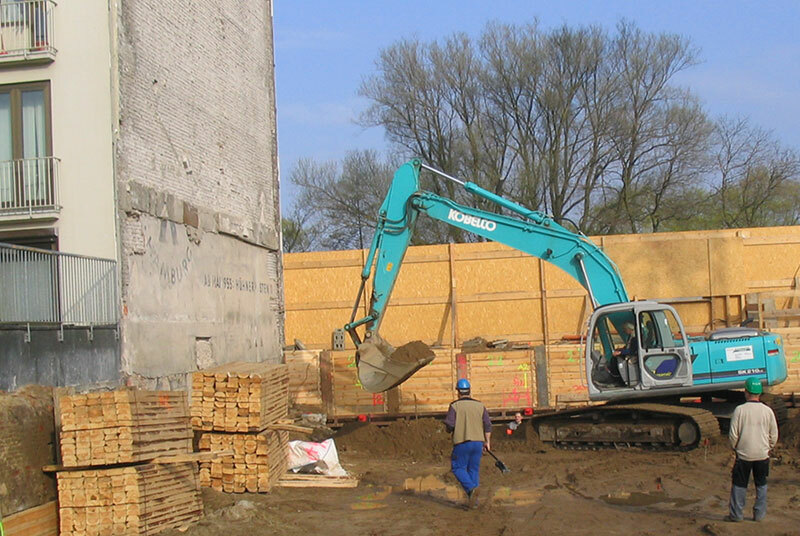 This process is repeated until the excavation floor is reached. In large, heavily used areas such as e.g. military training grounds and shooting ranges, the excavated material is treated in a separation system. UXOs are removed from the excavated material using suitable separation technologies (sieves, magnetic separators, eddy current separators, etc.). The soil can be filled in again after the final inspection.